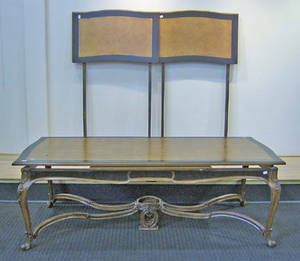 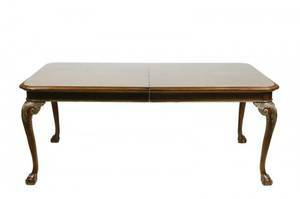 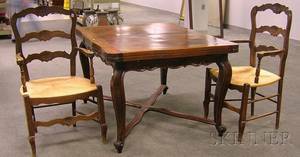 French provincial rectangular dining table with two pull out leaves. 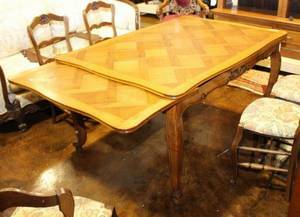 Top with squared parquetry decoration. 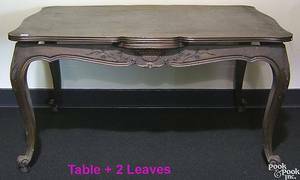 Floral decoration on table trim. 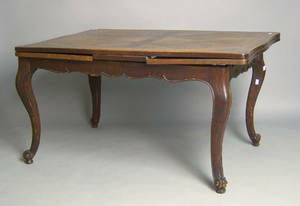 Table measures 30.25 inches x 41 inches x 59.25 inches. 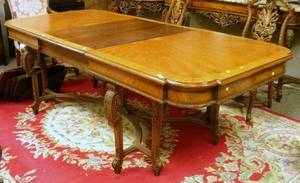 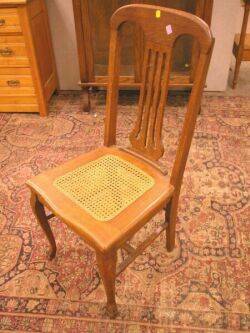 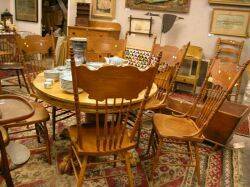 Victorian Oak Pedestal Dining Table and Set of Five Caned Oak Dining Chairs.